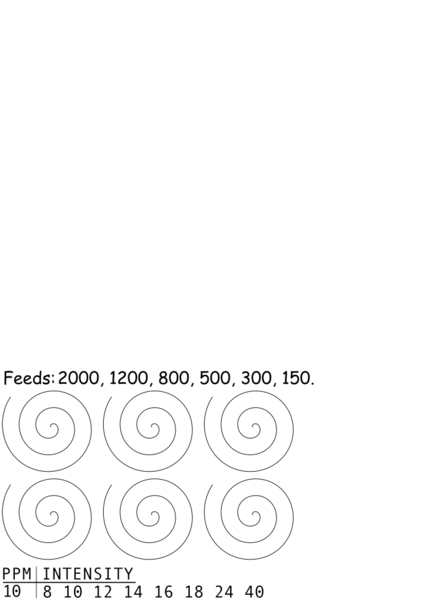 Test file for laser cutting with spirals and text of various intensities and feed rates. 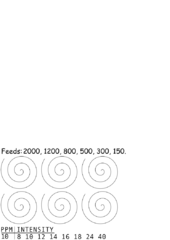 current 14:48, 20 July 2017 744 × 1,052 (79 KB) Citybadger (Talk | contribs) Test file for laser cutting with spirals and text of various intensities and feed rates. This page was last modified on 20 July 2017, at 14:48.